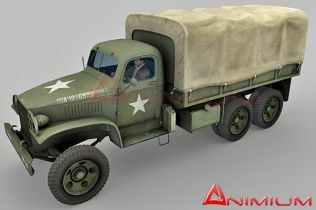 Mid poly, high detailed, quality 3d model of GAZ 66. 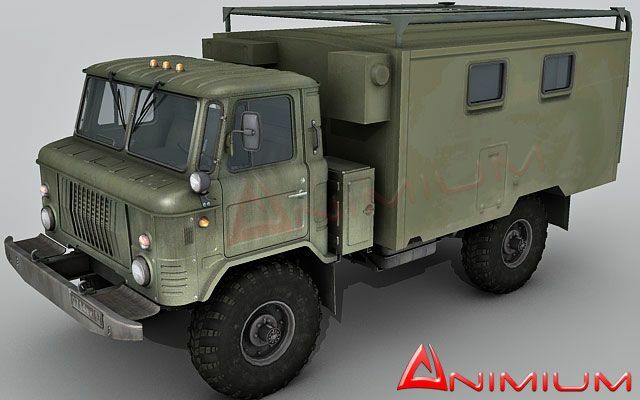 Completely UV mapped model, included realistic, high resolution textures and materials. All objects are separated and grouped, ready for animation. Contains exterior and interior. 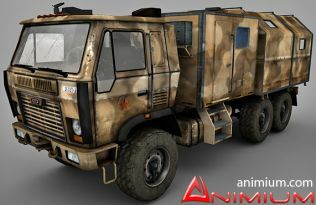 Perfect for closeup renders and military visualizations. 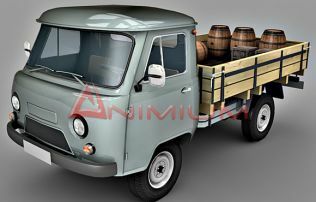 Comes with chassis, cabin and electrical equipments. 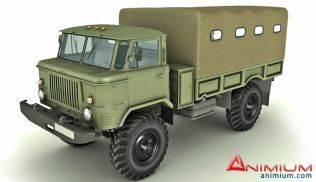 Accurate representation of the real world GAZ 66 military truck. Thanks for sharing and hopefully will share something too soon. Agromni spasibo! [TYVM!] She’s a beaut!